[ENGLISH] Today I bought a new laptop. Let’s see if the preferred supplier of the university (only one brand) manages to deliver it within the 10 working days that they mention in their website. Speaking about deliveries, we confirmed last week that whoever is delivering Australia Post parcels to our address is not bothering to (A) even try a delivery, or, (B) leave a collection card saying that they tried and we weren’t home. They used to always do option B and that was annoying, mostly when sometimes I had been working from home all day and no attempt to delivery had been made. Now it is even more annoying as we need to keep track of any expected deliveries and go to the Post Office to ask if they have them by any chance. They lookd at us oddly for starting but now they are used to it, after all we managed to receive 3 parcels this way during the last week! After complaining online I have received an answer telling me that they were going to enquire about it... one day later I have received a link to a satisfaction survey.... Now, I don’t know if my problem has been solved, they told me that they were going to check it out but they haven’t come back with any answers and they haven’t said that they would. How satisfied should I be? More on deliveries... I am 36 weeks pregnant... delivery is getting close! P.S. : My mother just posted a parcel with baby clothes that have been used by all the cousins (including G); just good she is sending it to my work address, otherwise who knows if we would get it! 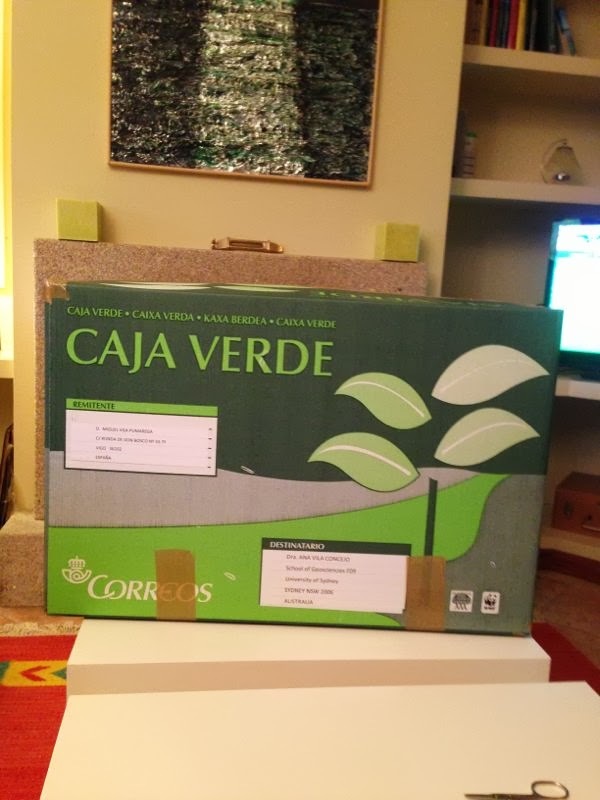 [ESPAÑOL] Hoy me he comprador un portátil nuevo. A ver si el único proveedor autorizado por la universidad se las arregla para traerme el portátil dentro de los 10 días laborables que anuncian en su página web. Hablando de traer y repartir, hemos confirmado que los que traen y reparten paquetes postales a nuestra casa ya no se molestan ni en dejar una tarjeta diciendo que intentaron repartir algo y no estábamos en casa. Eso era lo que hacían antes, cuando mintiendo descaradamente decían que lo habían intentado y no había nadie en casa (mentira, muchas veces yo estaba trabajando en casa y los veía dejar la tarjeta en el buzón). Pues bien, ahora ni eso, si esperamos algún paquete hay que estar atentos e ir a la oficina de correos a preguntar si por casualidad les ha llegado algo. Al principio nos miraban raro, ahora ya se han acostumbrado, al fin y al cabo recibimos 3 paquetes de esta manera la semana pasada! Después de poner una queja en la web me ha llegado un correo electrónico diciendo que lo sienten y que van ver si lo arreglan. Al día siguiente me ha llegado otro correo con una encuesta de satisfacción… me han respondido diciendo que iban a ver que podían hacer, no me han dicho que ya estaba resuelto ni que me iban a contactar una vez que lo resolviesen. Eso llega para estar satisfecho? Y más sobre traer, en este caso traer al mundo… 36 semanas de embarazo… ya no queda casi nada! P.S. : Mi madre me acaba de enviar un paquete con ropita de bebé heredada de todos los primos (incluido G); menos mal que la manda a mi trabajo porque si no igual no la recibíamos! Labels: Australia Post, Correos en Australia, parcel delivery, reparto de paquetes.